HAYWARD – As part of Cal State East Bay’s mission to create and maintain an environment of justice, tolerance, equity and nondiscrimination, the university kicks off its annual Week of Inclusive Excellence on Feb. 23. The events (held in the UU Multipurpose Room) begin at 9 a.m. with welcoming remarks by CSUEB President Leroy Morishita, and Provost James Houpis will follow with an awards presentation recognizing this year’s Diversity and Inclusive Excellence Award winners. The session concludes with music by the CSU East Bay Jazz chorus and performers. From 10:30-11:30 a.m., the 2014 Diversity and Inclusive Excellence award winners (Luz Calvo, Melissa Cervantes, Maria Cho, My-Lan Huynh, Jaski Kohli, Eric Kupers, Rita Liberti, Helen Ly, Sharon Radcliff, and Lettie Ramirez ) will make presentations. The presenters will be followed by Markese Bryant (cofounder and managing partner of Fight for Light), as part of the ongoing Provost’s Speakers Colloquium on Diversity and Sustainability series. Bryant’s talk, “From the Mean Streets to the Green Economy,” will take place from noon-1:30 p.m.
Additional programs continue throughout the week; some are open to the public. 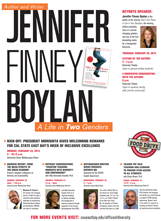 For a complete schedule of events, go to: www.csueastbay.edu/about/diversity/index.html. The Week of Inclusive Excellence activities are sponsored by Cal State East Bay’s Office of the President, Division of Academic Affairs, Office of University Diversity, Diversity and Equity Liaison Officer, University Diversity Council, Diversity Grant and Innovation Program, Office of Faculty Development, Office of Sustainability, Black Student Union, Diversity and Inclusive Excellence grant, Theater and Dance Department, Department of English, Distinguished Writers Series, Office of General Studies, the LEEP program, and the STEM Institute. For more information, contact the University Diversity Office at 510-885-2809.